The apartment has a good location relative to the attractions and public transport, I would say that is its saving grace. Overall cleanliness was adequate. We were four girls, so it was great to have two separates room. Bathroom has a big shower cabinet and there is also a hair dryer. Kitchen was big enought to make small breakfast with all dishes you would need, even for some cooking:-) I really like chairs and table on the balcony cos it was nice warm evening. Would come again. Lovely little private balcony. Plenty of shops & bakeries in the local area. Close to the U bahn station. 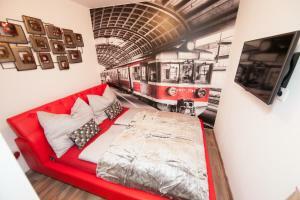 Clean apartment with all equipment you need,easy key collection, close to tube and tram into centre. It was close to the public transport so easily commute to the city centre. The shower was great. Having a washing machine was very helpful. Lock in a great price for Deluxe Apartment Vienna – rated 8.1 by recent guests! 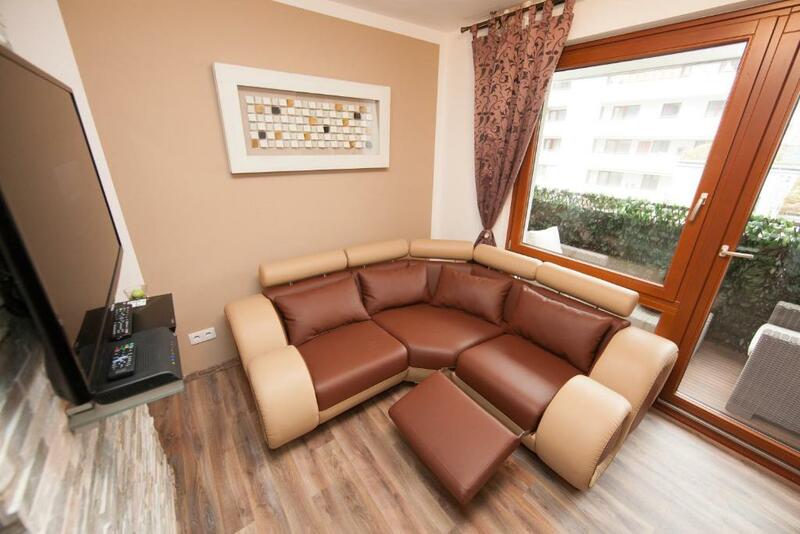 Deluxe Apartment Vienna This rating is a reflection of how the property compares to the industry standard when it comes to price, facilities and services available. It's based on a self-evaluation by the property. Use this rating to help choose your stay! One of our best sellers in Vienna! 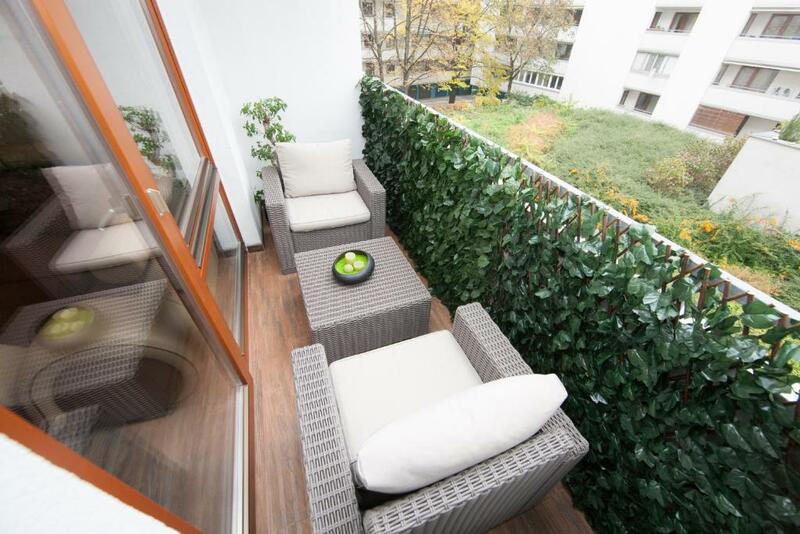 This elegant apartment with free WiFi and a furnished balcony overlooking a quiet courtyard is just 350 feet from the Dresdner Straße Underground Station (line U6) and the Traisengasse Train Station. 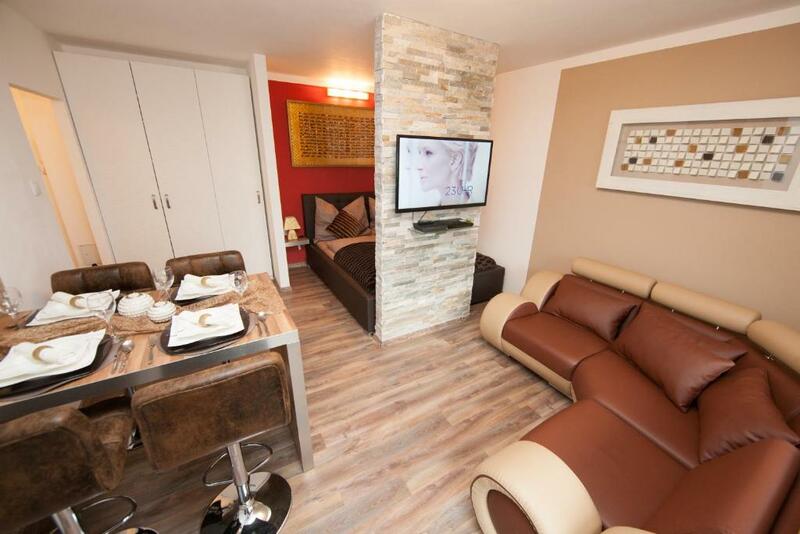 Deluxe Apartment Vienna features 2 bedrooms (one with an LED TV), a modern, fully equipped design kitchen, a living room with an LED TV, DVD and Blu-ray player, and a bathroom. Amenities include a washing machine, iron, hairdryer, and baby cot. The apartment is located on the second floor of a residential building with a elevator. A supermarket and a restaurant, as well as a public parking garage, are 350 feet away. The Millennium City Shopping Center is a 10-minute walk away, and the large Augarten Park can be reached in a 20-minute walk. By public transport, the city center is 10 minutes away. When would you like to stay at Deluxe Apartment Vienna? This apartment has a electric kettle, private entrance and balcony. The property is modern and warm as well. 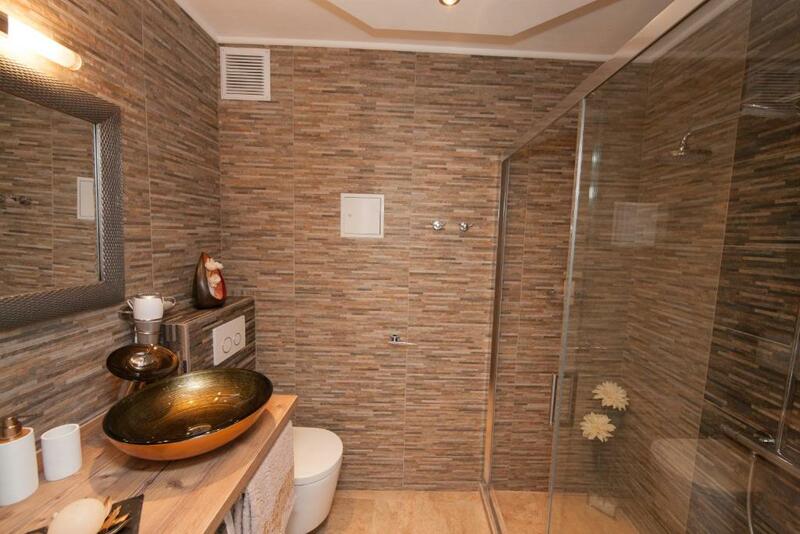 Very well located direct by metro, tram or bus and some minutes to the city center. I am a workerholic. I like sports like tennis, skiing and soccer. Around the property there are big cinema and the Stadthalle. Mariahilfer Strasse which is the biggest shopping mall with a lot of bars, restaurants, etc. 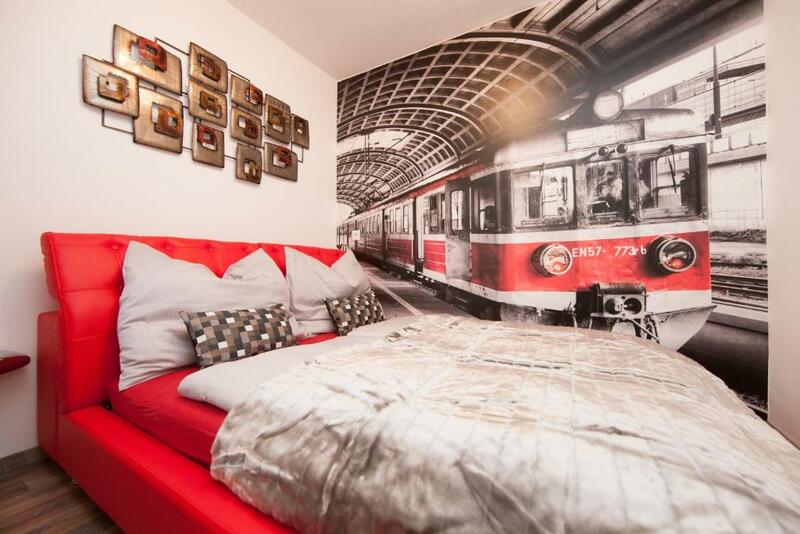 House Rules Deluxe Apartment Vienna takes special requests – add in the next step! Deluxe Apartment Vienna accepts these cards and reserves the right to temporarily hold an amount prior to arrival. Please inform Deluxe Apartment Vienna of your expected arrival time in advance. You can use the Special Requests box when booking, or contact the property directly using the contact details in your confirmation. Room needed some TLC. Wall paper peeling. Holes in sheets. Bedding was all singles and limited. Wouldn’t class as deluxe! Everything. The reason i took apartment is because i am coming with my family of two kids (15 months and 6 years) so that we can cook home food for kids. As soon as we enter into the apartment it is smelled with ciggerate smoke and flat is not what you see in the pictures. It is not two bedroom property. It is single bedroom property with one in hall. There was nothing in terms of kitchen no salt, no sugar packets and in the bathroom there was no soaps. everything we had to buy. lift is not enough to put your pram. TV was not working. Internet didn't work for two days. it took them two days to fix the problem. The Bed in the hall and in the bedroom looked terrible. the pillows are worn need to be replaced with new ones. the bedsheet has few holes. 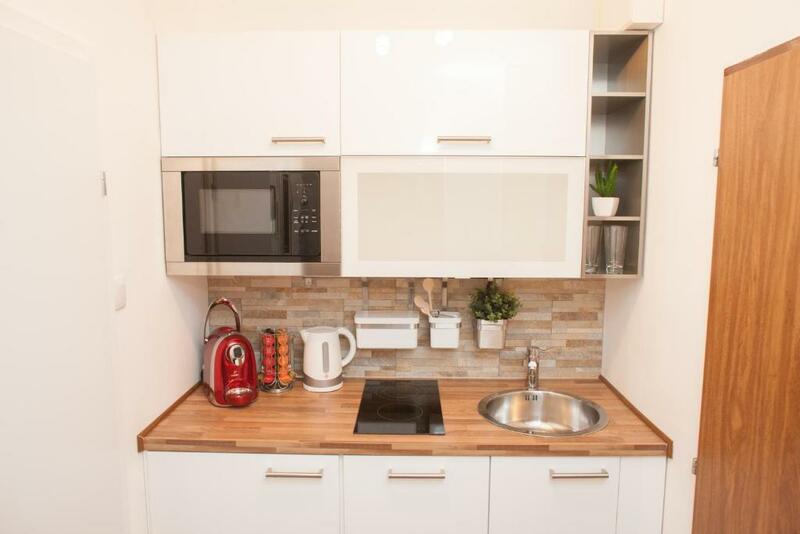 If you see pictures in the booking.com they look like modern apartment but apartment is very old..only this flat looks modern. but smells in the apartment corridor and lift is terrible..all smoke smell. I don't know how booking.com gave 4 star rating for this.. this is no where near 4 star i would give 1 star for this flat. Apartment very clean and close to the subway! I usually avoid leaving overly harsh reviews however in this case I will make an exception and go point by point. Check-in: I understand that you specify a certain time and that you are not staying at a hotel because I understand that I expect a minimum dose of understanding when for example your flight is delayed and you miss your check in time. I really didn't want to be met with aggression and be told that I have to go around Vienna for the next 2 hours for something that I could not control. The apartment: for 4 guests that stayed 5 nights we were left with two (2) rolls of toilet paper. How can this be thought to be acceptable? The apartment also smelled like curry and sweat which was so overbearing it would make you feel ill until you inevitably got used to it. The only 5 stars I can give to the apartment is for the photos which make everything look online like you are staying at a "deluxe" apartment as the name would suggest only to be let down when you arrive. Check-out: As we were accustomed from the check-in, we received 0 understanding again when we asked to delay our check out by just one hour stating that they have guests staying right after us. Allow me not to believe that on the 3rd of January you have guests arriving at 11. Overall: disappointing, you can get a hotel for the same price and probably be better off. You live and you learn. The location in the city. For me the bed in living room was too soft, but I have a back problem. The other two beds were OK and no one was complaining. Virtually everything. This would have had to be the most uncomfortable accommodation ever encountered and my wife and I have done many world trips. 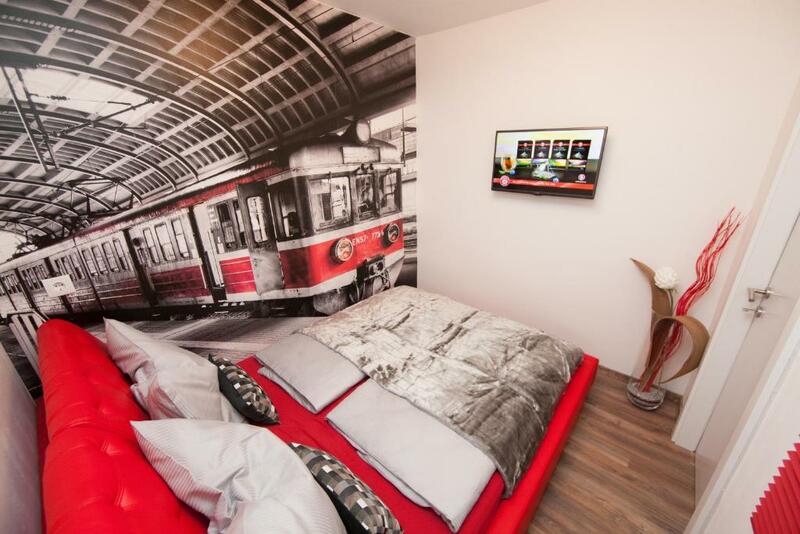 It actually spoilt our Vienna experience and we would strongly suggest to anyone considering this accommodation to look elsewhere. The person who met us was not at all interested in offering any information, just wanted to get our details, take our money and get away as quickly as possible. The entrance and all the corridors and stairwells reeked of cigarette. The lounge was rock hard and the four stools at the table were extremely uncomfortable. The bed was only slightly tolerable because we put one mattress on top of the other. The only fitted sheet had a whole the size of a €2 coin in the centre. There was a coffee machine (which looked brand new) no doubt because there were no instructions on how to use it and not one sample of a capsule you might want to buy. There was a two plate cooktop which we did not feel confident enough to use because there was absolutely no exhaust and we could see where former tenants had partly melted the plastic containers above, which held the cooking utensils and cutlery. Hence for the six days we did not cook anything which was one of the main reasons we took this accommodation in the first place. Also there was no washing machine detergent (which has never ever been an issue on our travels.). When one arrives in a new country one would expect some basic tourist info - there was NONE. The surrounding area was far from salubrious. Only positive was good public transport. One small coffee shop was at the tram stop but closed midday Sat closed Sun. Kebab shops were the only eating places nearby. We cannot mention anything like that. Very small apartment, photographs clearly taken with a wide angled lens. The pillows were flat & too old, they need replacing & odd stains on the duvet covers. Although a Nespresso coffee maker was provided no capsules were?! In every other apartment we have used the owner has provided basic condiments. No salt, no pepper etc. The most disappointing aspect was the amount of dust. The hairdryer was clogged & kept cutting out as it was overheating. The window blind was thickly covered in dust too. I had to buy antihistamines tablets to stop wheezing & sneezing. Although bath towels were supplied no hand towel was. I informed the owner that we (international visitors) would arrive at 6pm but a woman started ringing me at 4:30pm asking where we were. Annoying when you are trying to carry cases & navigate a new city. No travel information literature was provided in the apartment. Second bedroom quite hit, only one fan in main room.